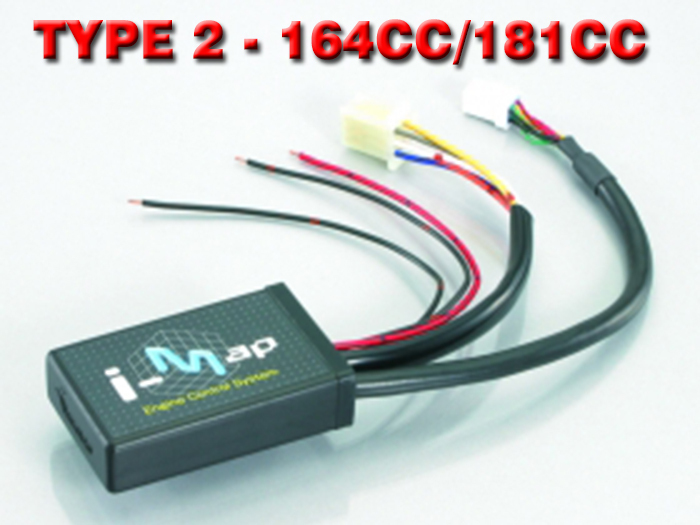 Kitaco Type 2 iMAP fuel injection controller for Honda Grom for use with 164cc and 181cc bore kits. iMap v2 controllers come with selectable pre programmed maps, as well as the ability to custom program your own personal map. USB interface cable is required to program your own map, sold separate. Easy install with English pdf file.